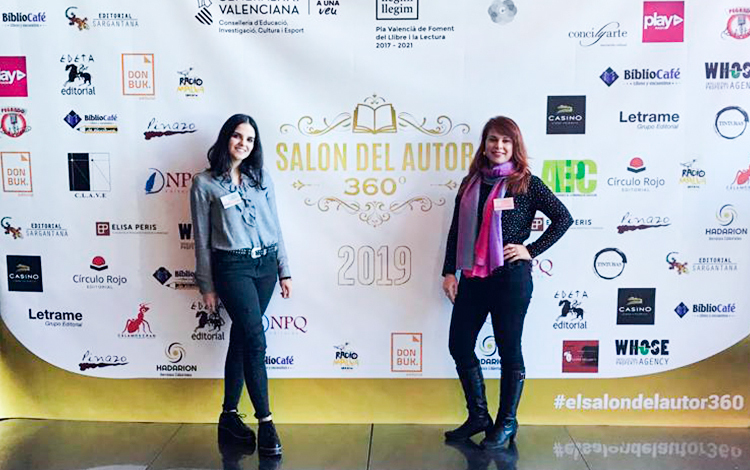 El salón del autor 360 º is a literary event that has been held in Valencia for the second year in a row. It took place last weekend and I feel lucky to have been able to go. 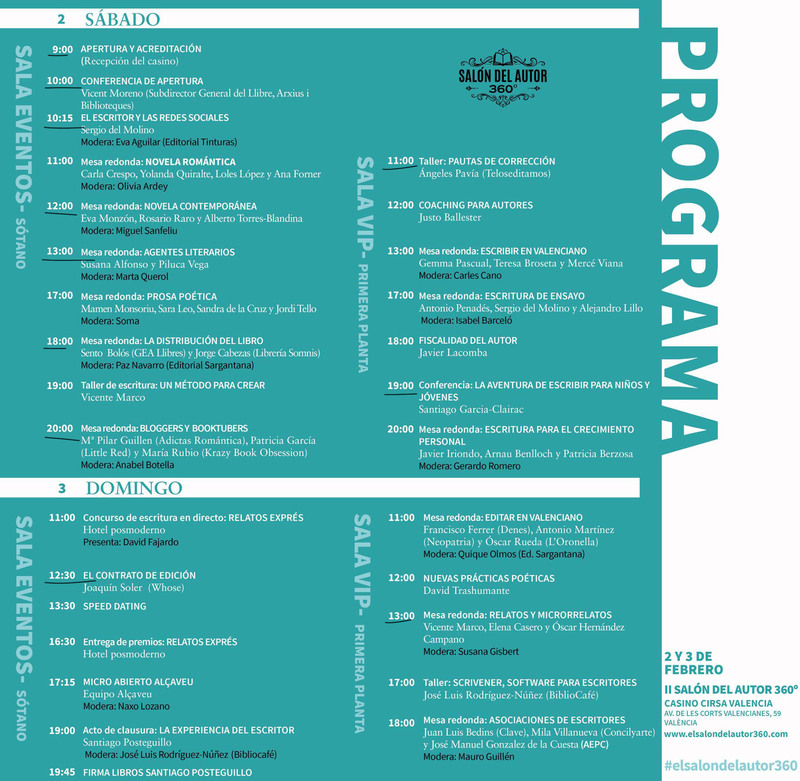 The event consisted of two days of talks, workshops and activities directed by writers and editors in which we were given very valuable information about the world of writing. I’m not going to talk about all of them because this would be eternal, just a little of the three that I found most useful and interesting. Interesting? Honestly not, but very useful and necessary. The correction is something that every writer must face in the process of creating his work and, dare I say, it is something that almost every writer hates. I certainly hate it. It was a talk that clarified the guidelines to follow to carry out the damn correction in the best way possible and thus have the perfect writings before sending them anywhere. You may be curious about this since I am not very interested in children’s literature. However, the writer in charge of the talk showed such enthusiasm for what he did that he ended up infecting me with it. Now I don’t deny that I will ever write something for children, but it’s still not my genre. Without a doubt this was my favourite of the whole event. The writers who spoke on this occasion focused on the differentiation of micro tale-tale-novel according to its length and thematic unit. The most interesting was the time they spent talking and discussing on literary contests and the advices they gave us about them. Unfortunately, I made a mistake when signing up for the event (what a surprise) and instead of assisting as an author I did it as a visitor. Due to these I was not allowed to attend to some activities: the contest, the speed dating and the opened micro. Lesson learned! In summary, it was a very positive experience in which, in addition, I had the fortune to meet Cristina, a partner from my master’s degree. I definitely want to repeat next year.